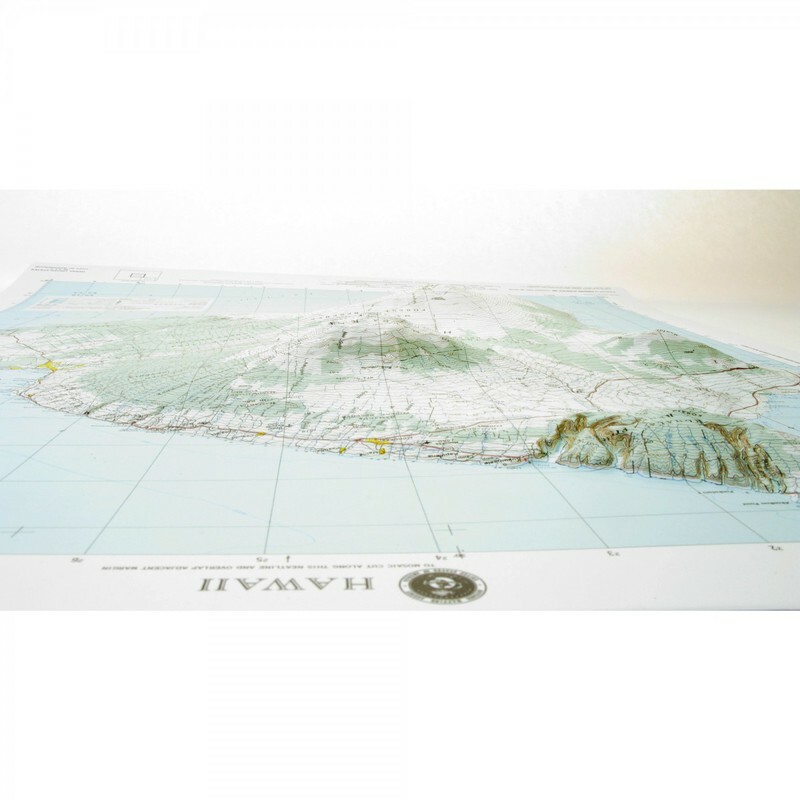 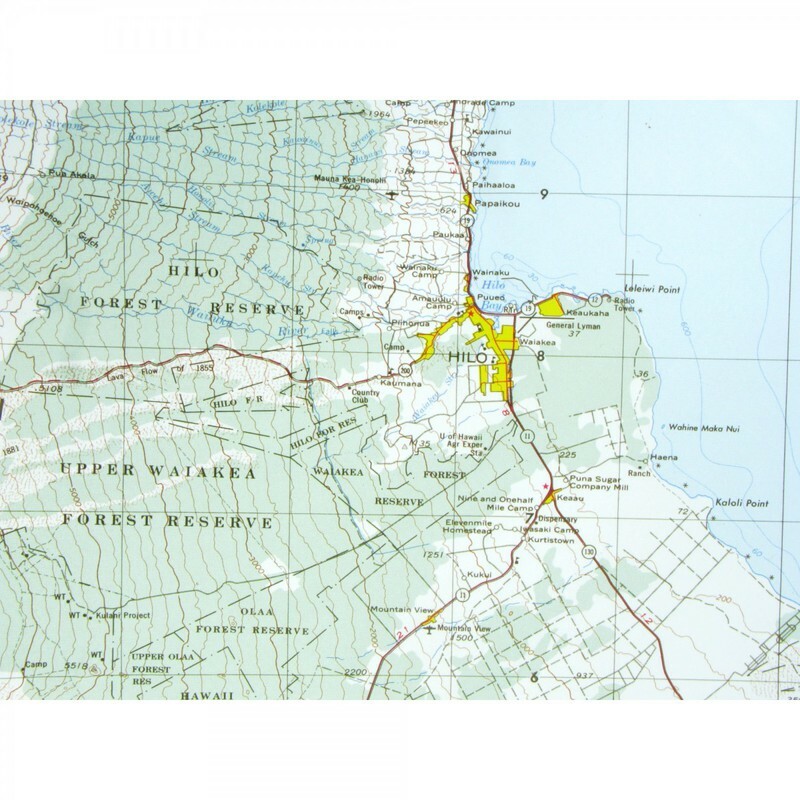 The NE515 is a raised relief map of Hilo, Hawaii. 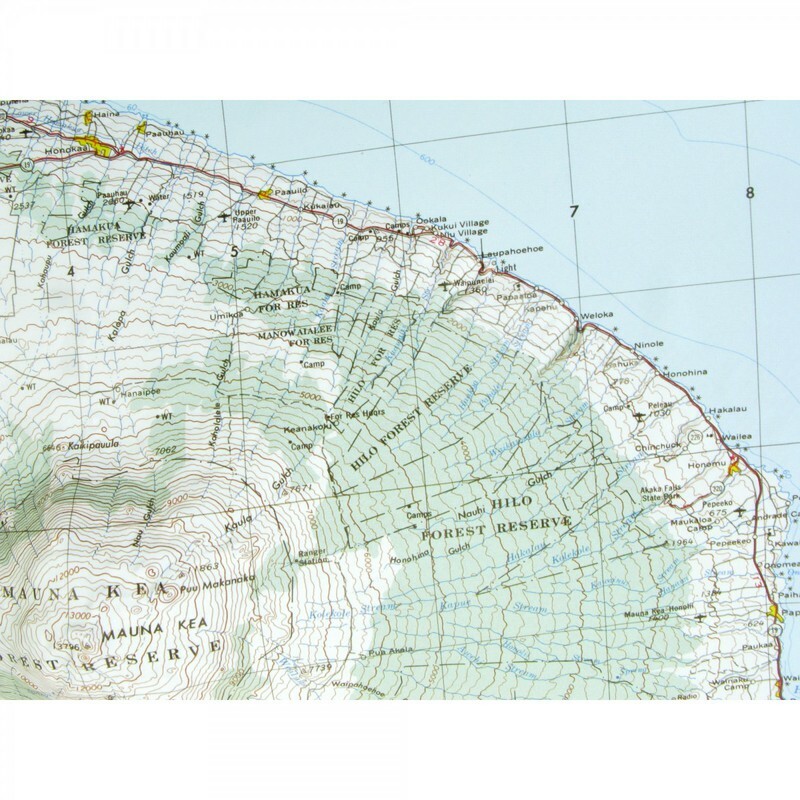 Each USGS topographic map covers 2° longitude and 1° latitude. 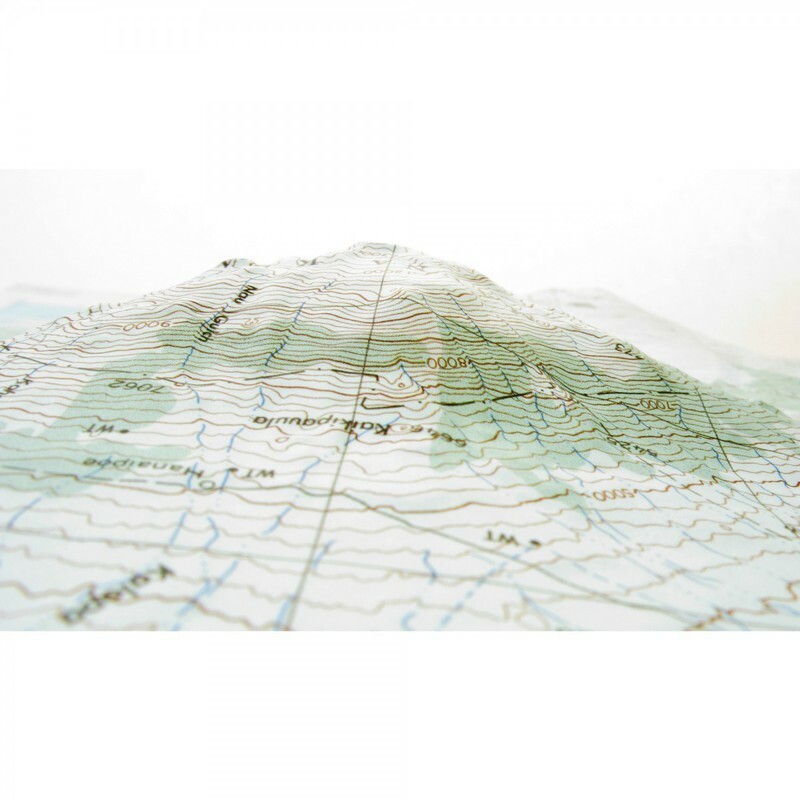 That is about 100 miles east to west and 70 miles north to south, depending on the latitude of the map. 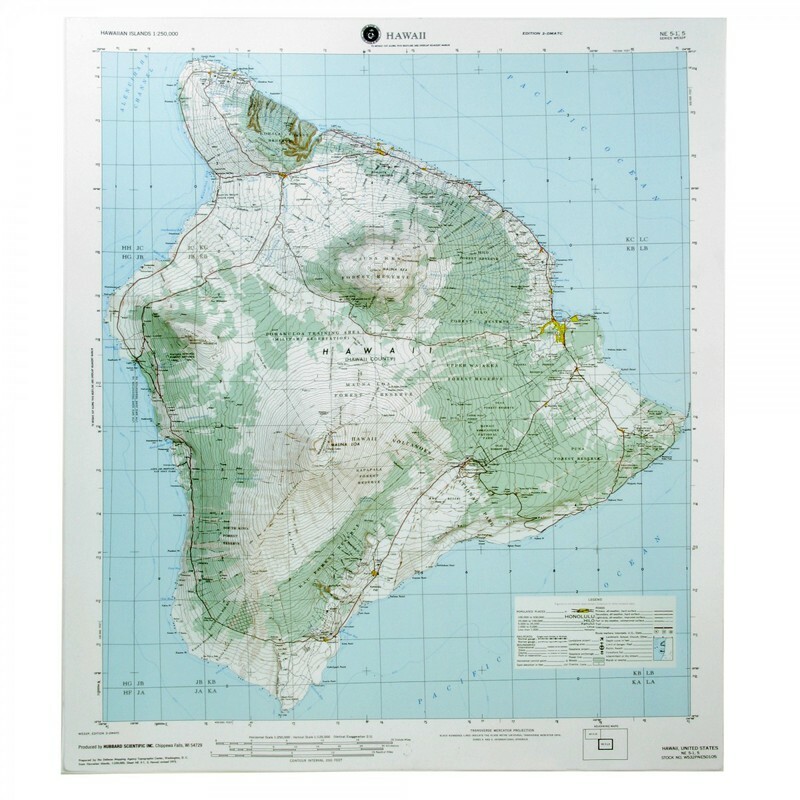 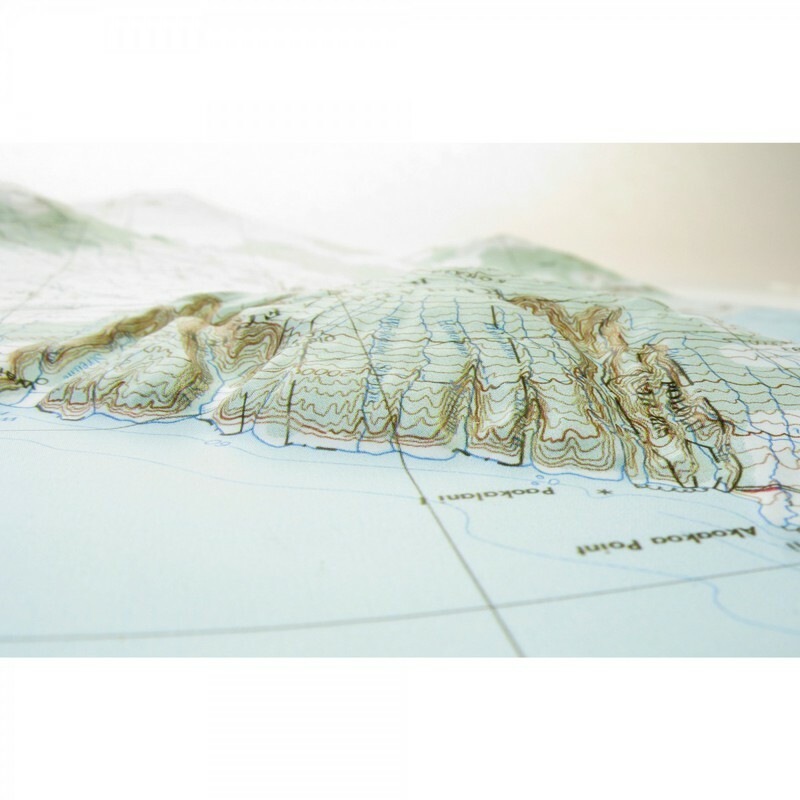 Our USGS maps use shaded relief and are a wonderful visual reference. 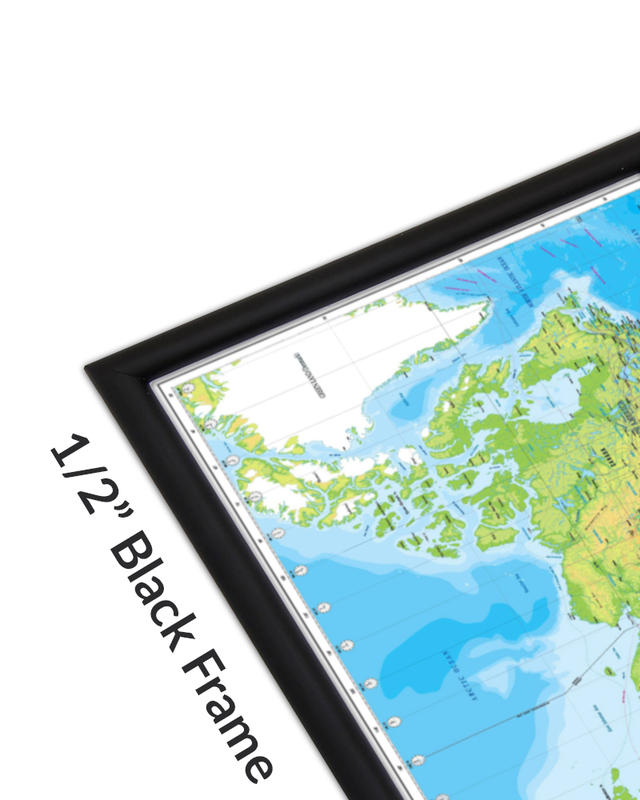 They are appropriate for real estate offices, travel agencies, outdoor enthusiasts and classroom use. 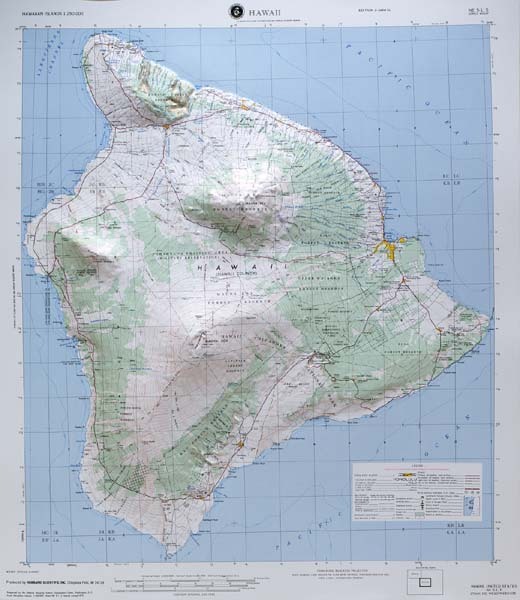 Cartography: 1975, 27.5" x 23.5"
27.5" x 23.5" x 1"